Stunning, impeccable, immaculate, pride of ownership shown through. Located in desirable Aspen Woods and minutes walking distance to Aspen Landing Shopping, Blush Lane, Schools, parks. 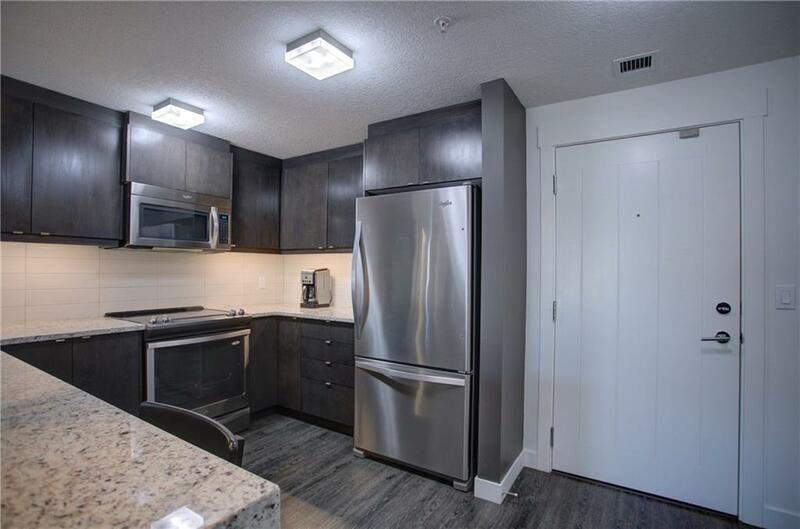 Gorgeous upscale condo living at its best with over $15,000 of upgrades through out. 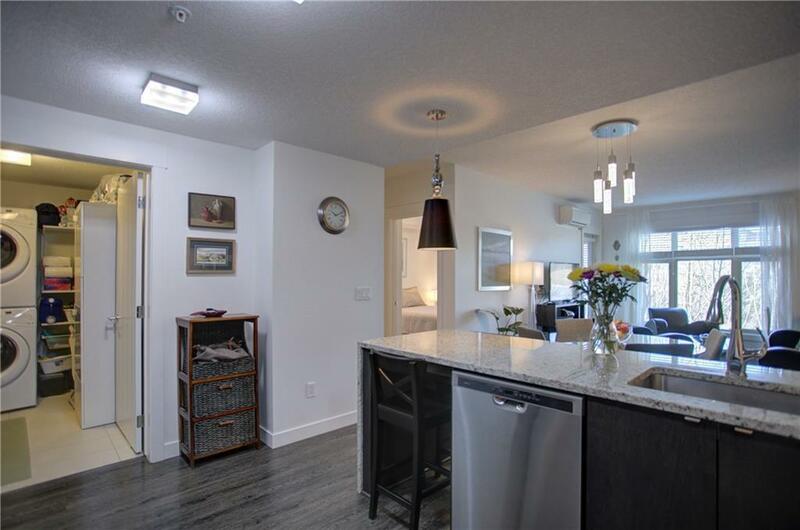 This two bedroom, two bath condo backs onto a private green space and private aspen forest. 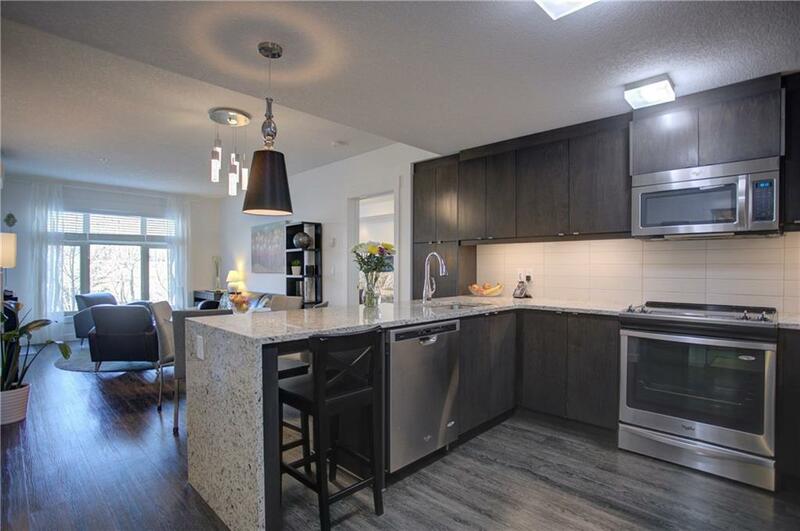 Open concept living, gorgeous kitchen with tons of granite counter tops, beautiful stainless steel appliances and gorgeous contemporary kitchen cabinets. Master bedroom with stunning five piece private ensuite. Large second bedroom with its own five piece bath. Good size laundry room with lots of storage. Private balcony over looking your very own private west facing Aspen forest. 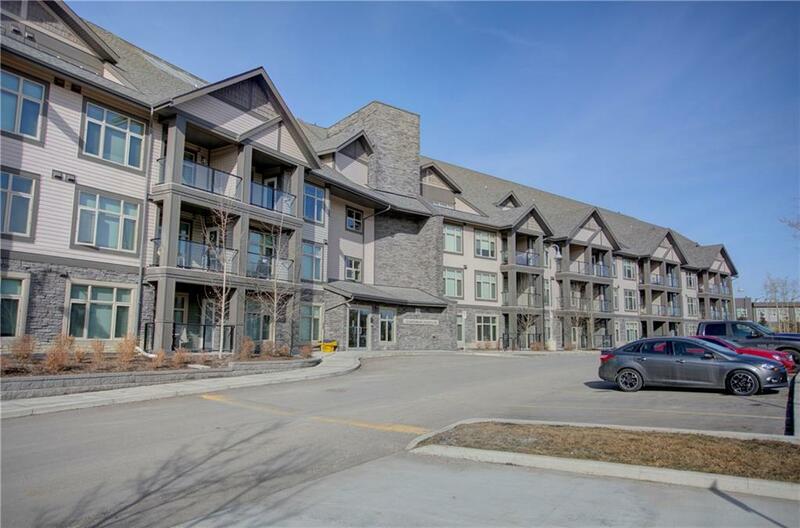 This unit has its very own AC unit, underground parking, double sized storage locker! Priced to sell. Book your private viewing today.